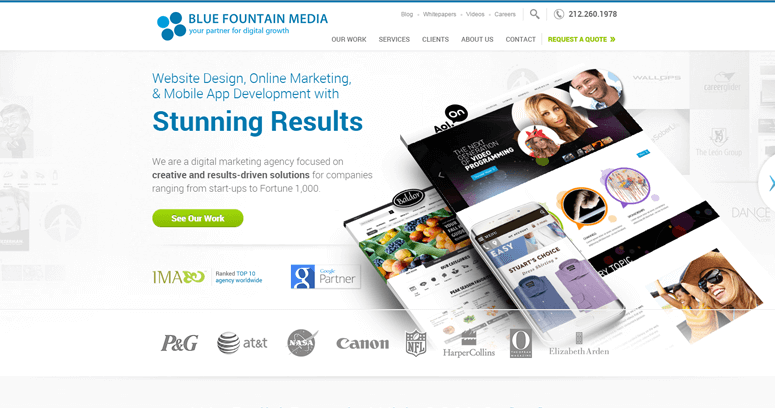 Blue Fountain Media is a web design firm offers digital marketing services that can be extended across platforms including mobile devices and websites. 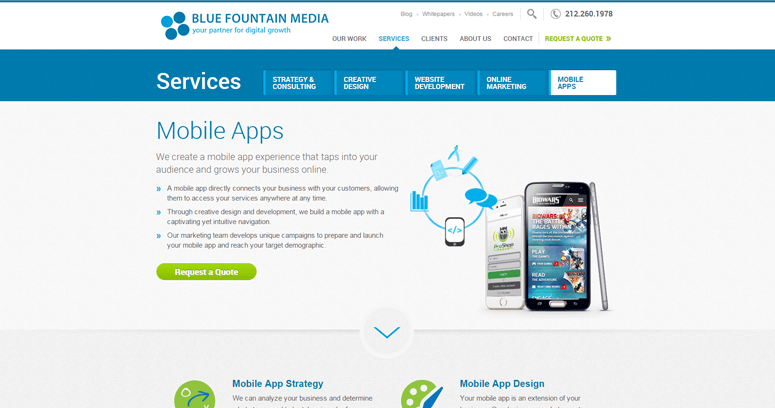 Qualified leads are driven to websites and apps. SEO, pay per click, email marketing, and social media campaigns are strategically used by the company to market a user's website and boost web traffic. 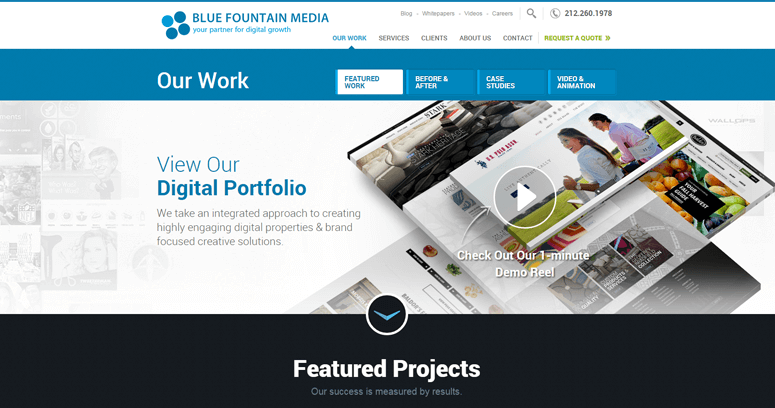 Blue Fountain Media serves companies across a wide span of industries, such as education, startups, e-commerce, and non-profits. Interested clients can discuss their project with the team and request a quote. Creative design is a key point of focus. They offer logo design and branding, print design, and video production. A variety of tools can be employed for your website's needs, including Wordpress, Joomla, Drupal, Magento, Sitecore, and much more. Online marketing will optimize advertising, social media use, and online public relations.